Klaudia Németh received her first guitar lessons at the age of eight in her hometown Pécs in Hungary. There she won the first prize in 2000 and 2003 at the national guitar competition for students of music schools. 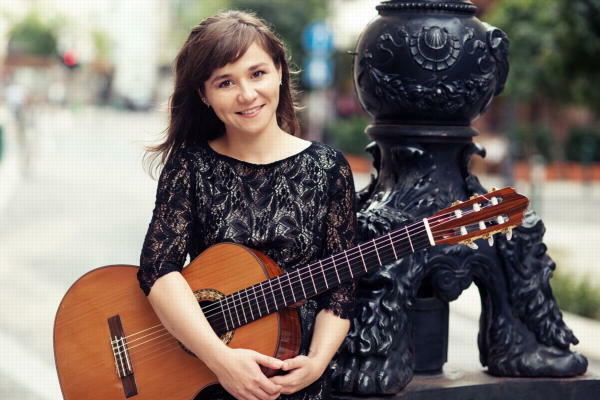 From 2006 to 2010, she studied with Professor Ede Roth at the Institute of Music at the Széchenyi István University Varga Tibor in Győr, Hungary, and won third prize in 2008 at the National Competition for Guitar Students. A year later she was a finalist at the international John W. Duarte Guitar Competition in Rust in Austria and completed her studies as a guitar teacher and chamber musician with outstanding performances. She then studied art education with Peter Katona at the Academy of Music and Performing Arts in Frankfurt am Main. She graduated with distinction in the class of Prof. Johannes Monno at the Staatliche Hochschule für Musik in Stuttgart. During her studies in Germany, she received scholarships from „Live Music Now e.V.“ in Frankfurt and Stuttgart. Since 2013 she works as a lecturer at the Backnanger Jugendmusik- und Kunstschule. The debut cd „Selection“ by Klaudia Németh was released in March 2018.